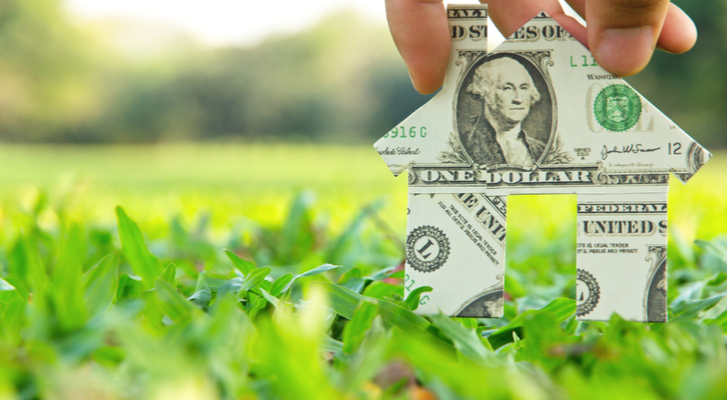 Real estate stocks have become a popular income investment vehicle. Most operate as real estate investment trusts (REITs). These REITs are supposed to pay at least 90% of their income in the form of dividends. In exchange, the REIT does not have to pay income tax on the net income generated from its properties. For this reason, REITs tend to pay higher dividends than most stocks. The average S&P 500 stock now generates a dividend yield of 1.9%. The average equity (meaning non-mortgage) REIT currently yields an average 3.9% return. At first glance, Kite Realty (NYSE:KRG) may seem like a strange choice among real estate stocks. In an overbuilt retail real estate market, many investors want to avoid the retail REIT sector in which KRG operates. However, investors need to remember that brick-and-mortar retail is not dying, it is merely shrinking. Hence, prospective buyers should not necessarily avoid these stocks. Amid the abandoned malls across the landscape, retail REITs such as KRG stock have found a way to thrive. Kite Realty has the good fortune (or good business sense) of owning property mostly in high-growth markets. Even in an overbuilt market, KRG maintains high occupancy and lease rates. Moreover, it is reshuffling its portfolio to increase this geographic focus. This has led to increased buying among insiders and hedge funds. This may explain why the KRG stock price has begun to recover. KRG fell from just above $30 per share in 2016 before opening 2019 near its $13.66 52-week low. However, since then the stock has risen to just above $16 per share this week. Despite the recent drop in the KRG stock price, the dividend has increased every year since 2014. Thanks to these payout hikes and a falling stock price, the $1.27 per share annual dividend yields around 8%. Retail REITs may look scary right now, but even in this depressed retail real estate market, KRG stock can still offer generous dividend yields at a reasonable price. Omega Healthcare (NYSE:OHI) is an equity REIT specializing in skilled nursing and assisted living facilities across the U.S. and U.K. The company operates under a “triple-net” arrangement, meaning the lessor takes responsibility for taxes, insurance, and maintenance costs. Thanks to the aging of the baby boom generation, around 10,000 per day age into the Medicare system. Hence, demographics serve as the growth engine for this and many real estate stocks of this type. The peak of the baby boom occurred in 1957, meaning this trend should peak in 2022. However, I think this growth should remain strong until 2029 when the last of the baby boom generation reaches age 65. The dividend has enjoyed a steady growth trend since 2003. Today, the company pays an annual dividend of $2.64 per share. This takes the yield to just over 7.4%. Unlike many REITs, OHI stock may bring some stock price growth. The forward P/E stands at about 20.2. This may seem high for a REIT. However, analysts forecast an average growth rate of 15.8% per year over the next five years. For this reason, both the dividend and the price of OHI stock should move higher over the next few years. Like with all healthcare REITs, I think investors need to stay mindful of demographics. However, as long as baby boomers keep aging into Medicare, I believe OHI will continue to prosper. 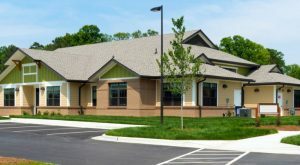 As the name implies, Senior Housing Properties Trust (NYSE:SNH) operates 443 properties spread across 42 states and Washington, D.C. These consist of medical facilities, wellness centers, and communities for senior living spread across the United States. Like Omega, SNH stock should also benefit from a large baby boom generation aging into Medicare. The annual dividend currently stands at $1.56 per share, leading to a yield of 11.9%. Best of all, the stock has maintained a steady payout since soon after the company’s founding in 1998. Like many real estate stocks, SNH tends to see little price movement. SNH stock traded at about $9 per share at the time of its IPO in 2000. It sells for around $13 per share today and has fallen from a high above $28 per share in 2013. Its current P/E ratio of around seven may indicate that SNH is a buy. If history serves as an indication, I would expect little price appreciation. However, for those who want a high dividend that should hold up for most of the next decade, SNH stock will serve that purpose well. STAG Industrial (NYSE:STAG) buys and operates single-tenant industrial properties across the United States. It owns 76.8 million sq. feet of space spread across 390 properties in 37 states. STAG stock and other industrial real estate stocks have benefited from an unexpected source of revenue over the last few years — e-commerce. As more retail business moves online, a large portion of retail real estate activity has moved into warehouses. 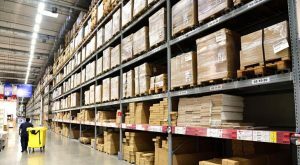 Thanks to Amazon (NASDAQ:AMZN) and other e-retailers, industrial space has rented as a premium. This premium has gone into profits, and by extension, dividends. Investors now receive $1.43 per share annually, a yield of 5.1%. Best of all, payouts come in the form of monthly dividends that have grown steadily over time. Moreover, the dividend should become a more critical component of STAG stock as growth slows down. After seeing an average 65% annual growth rate in the previous five years, analysts forecast growth of only 7% per year for the next five years. As a result, the stock has almost tripled since its low in 2011. I would expect with slower growth, the move higher should stop. Still, blurring the line between industrial and retail properties has permanently changed the industry for STAG. The business created by e-commerce will not go away. Even if growth in the STAG stock price slows, expect the equity to maintain its stable, high-yielding monthly dividend. Vereit (NYSE:VER) is one of the few equity real estate stocks that does not limit itself to one property type. This diversified REIT owns and operates industrial, office, restaurant, and retail properties across the country. Their portfolio consists of 95 million square feet spread across approximately 4,000 properties. The REIT owns buildings in 49 U.S. states as well as Puerto Rico. VER stock had peaked at just above $15 per share in 2013, and it has declined for most of the time since. However, after bottoming at $6.52 nearly a year ago, the equity has turned around. Today, it trades at around $8.10, near its 52-week high. While I would not rule out a recovery, I would still recommend this primarily for income investors. Unlike VER stock, the dividend has delivered stability and steady increases over the same time frame. Right now, VER pays an annual dividend of 55 cents per share. That comes to a yield of about 6.9%. Though the company does not increase the dividend annually, it did hike the quarterly payout in 2018 and 2015, the year it switched from monthly to quarterly dividends. Time will tell whether the VER stock price continues its move higher. Still, with a diversified real estate portfolio and steady, high-yield dividends, income investors should do well in Vereit regardless of the price action. Article printed from InvestorPlace Media, https://investorplace.com/2019/02/5-real-estate-stocks-dividend-income-sgim/.